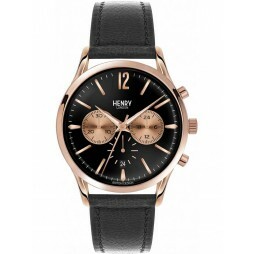 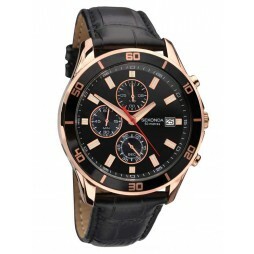 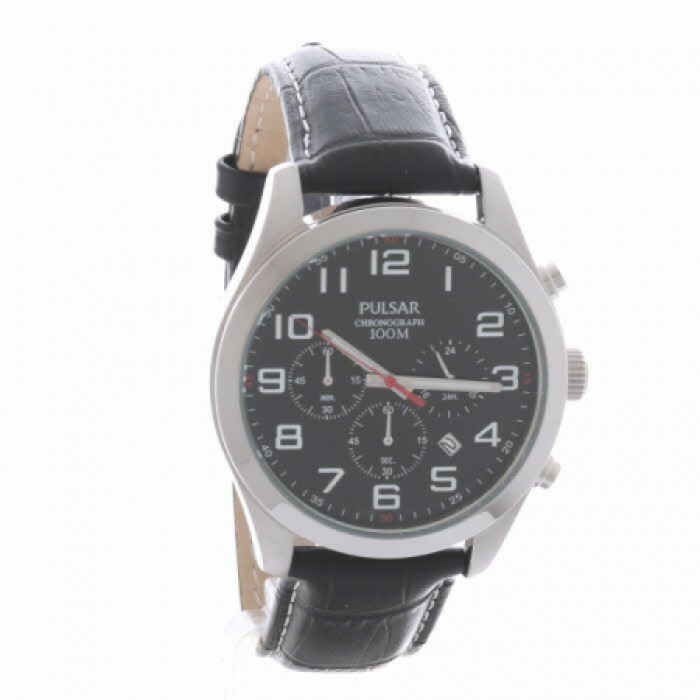 This handsome, dark mens watch consists of a black genuine leather strap and a stainless steel case. 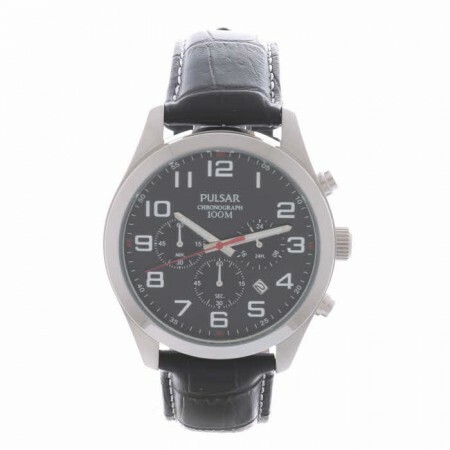 The black dial features silver hour markers as well as luminescent hands. 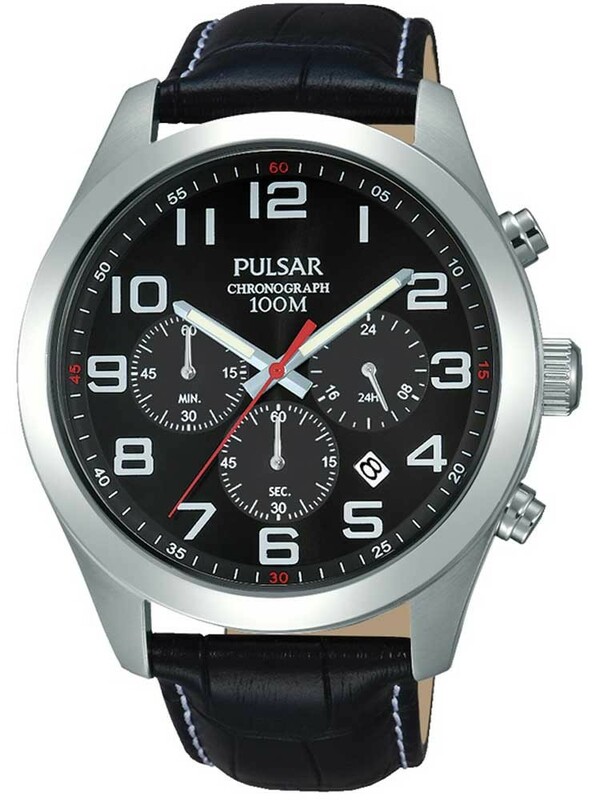 A date window and chronograph sub dials adds extra functionality to the fantastic timepiece.